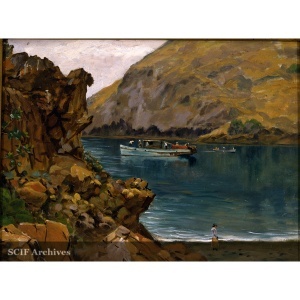 WELCH, Ludmilla Pilat (1867-1925), New York-born landscape painter whose father, was a member of the Austrian army who had decamped to the U.S. for political reasons. He immigrated to Savannah, Georgia in 1848 and eventually owned a peach orchard in Dalton. 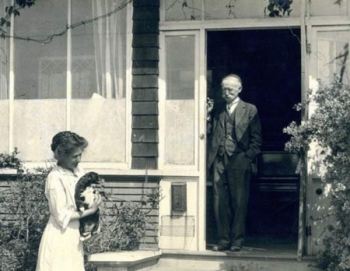 Following the Civil War, Charles Pilat moved to Ossining, New York, where Ludmilla was born in 1867. Her mother was Anna Enginger. Charles Pilat maintained business connections in Georgia through the early 1890s, when Ludmilla painted there. As a teenager, Ludmilla met the artist Thaddeus Welch (1844-1919) when he was sketching in the woods near her home. Welch became friends with the Pilat family and subsequently fell in love with their daughter. Despite a twenty-three year age difference, she married artist Thaddeus Welch at age 16 in 1883. He was 39. Thaddeus encouraged Ludmilla's talent for drawing, which she pursued with passion. While Thaddeus fulfilled commissions in Philadelphia, Chicago, San Francisco, and Australia, Ludmilla returned to live in Ossinnig. It was during this period that she accompanied her family on visits to Georgia. 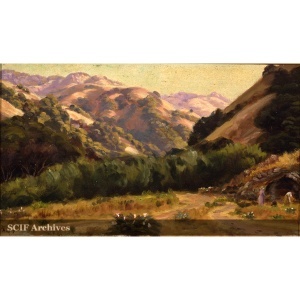 Paintings depicting Georgia scenes date from 1890, 1892, and 1893. 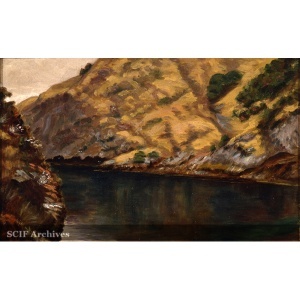 The couple moved to California in 1893, settled first in Pasadena, then in Marin County, and finally in Santa Barbara (211 Sola St. ) in 1905, where they developed a loyal patronage. The two often painted side by side in a style so similar that distinguishing between unsigned canvases is a challenge. 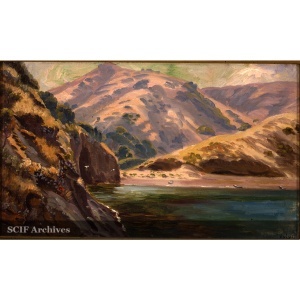 Although generally considered the lesser known painter to her husband, she painted a number of Santa Cruz Island coastal scenes which were left to her niece, Irene Pilat. 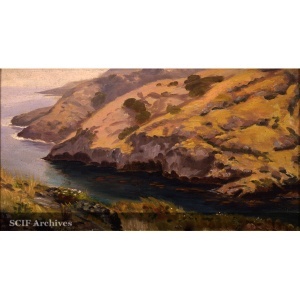 These were purchased by the Santa Cruz Island Foundation from Ms. Pilat when she was in her 90s. 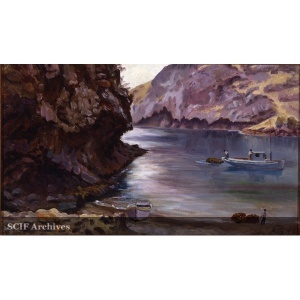 Most of her works are oil paintings, 12 inches by 14 inches, and depict landscapes, coastal scenes and adobes. Ludmilla Welch died on a train in Jackson County, Florida on May 17, 1925.